These Durable Monitor Stands Feature VESA Standardized Brackets And Will Work With Many Existing Television Screens From 32" up to 42"! Buy Monitor Stands With Confidence From Our Stocked Warehouse! 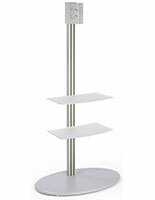 LCD TV Stand can hold a 32" to 60" plasma or LCD television that weighs up to 70 lbs. 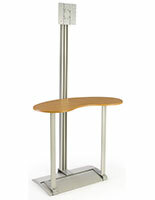 Plasma stands, monitor stands are ideal for use by retail stores or at trade shows. 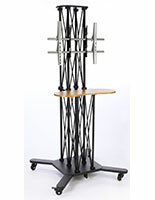 These monitor stands have been designed to hold a 32" to 60" plasma or LCD TV that weighs up to 70 lbs. A television display has a 200 x 200 VESA bracket that fits most makes and models of televisions. 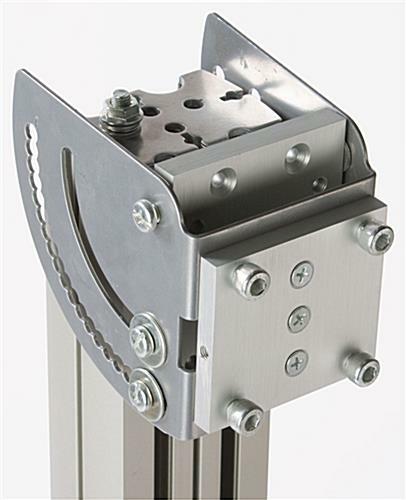 These monitor stands also include the necessary hardware to mount most televisions onto the bracket, though some may need specific screws you can buy at any local hardware store. 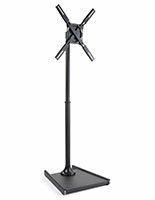 LED stands, monitor stands make presentations easy and help to capture the attention of passersby. 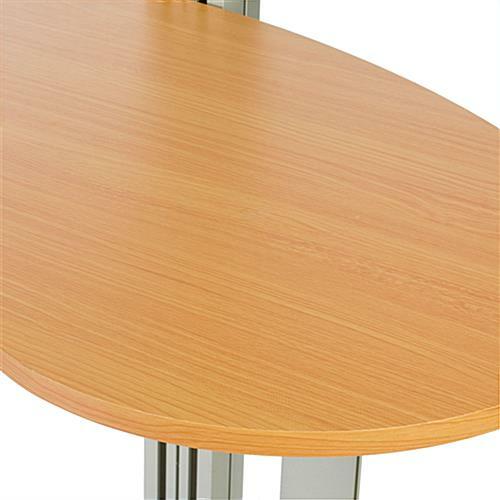 These monitor stands have a large shelf included that can be used to hold a laptop for presentations of other materials. 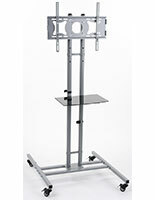 The flat screen displays, monitor stands come with wheels that can be attached to the base of your stand. These wheels allow you to easily maneuver the stand, and can be locked into place to provide a stable display. This monitor stands also feature a tilting mount that allows you to angle your television down or up for a better viewing angle. These plasma stands, monitor stands include four (4) plastic strips that go along the pole to help keep unsightly wires in place.